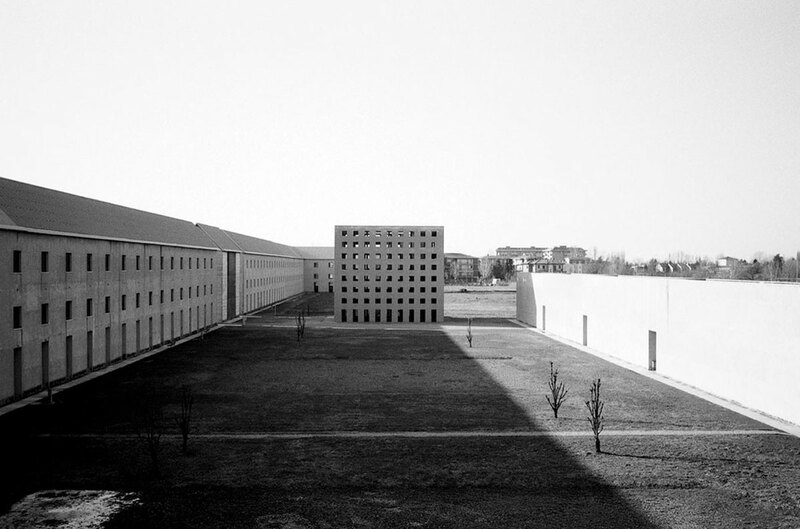 The San Cataldo Metropolitan Cemetery designed by Aldo Rossi integrates a designed built by the architect Cesare Costa between 1858 and 1876 with a very modern building designed by the architect in 1971. 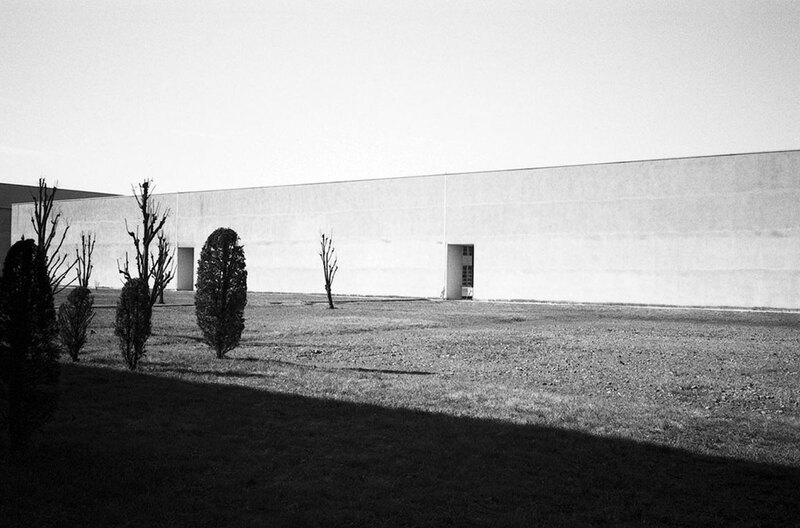 Rossi was a man appreciated internationally for his Architecture theories and his desire was to make a building that reflected his social perspective and theories. 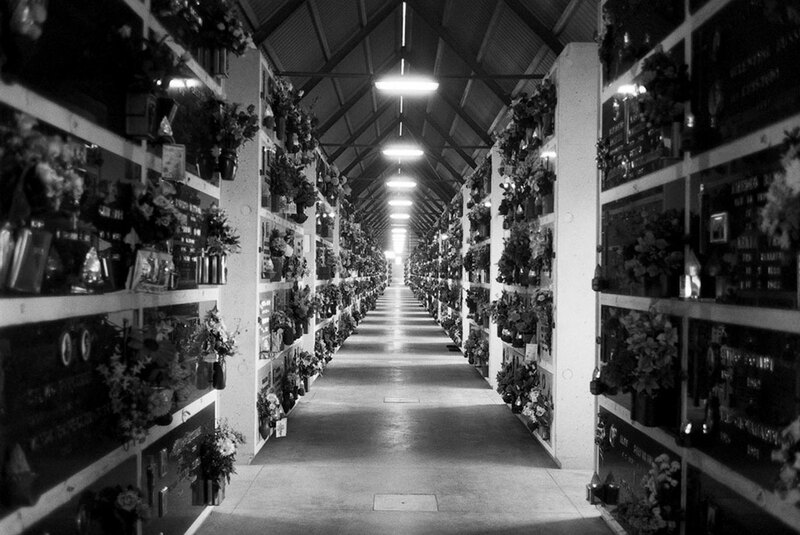 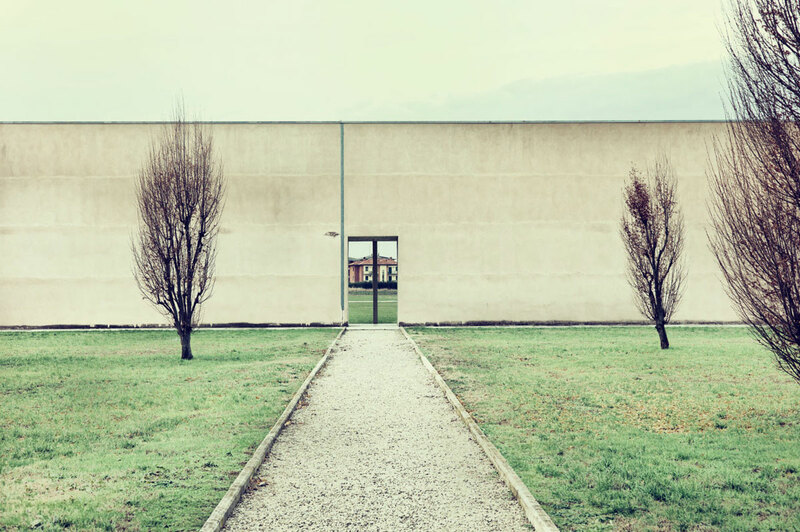 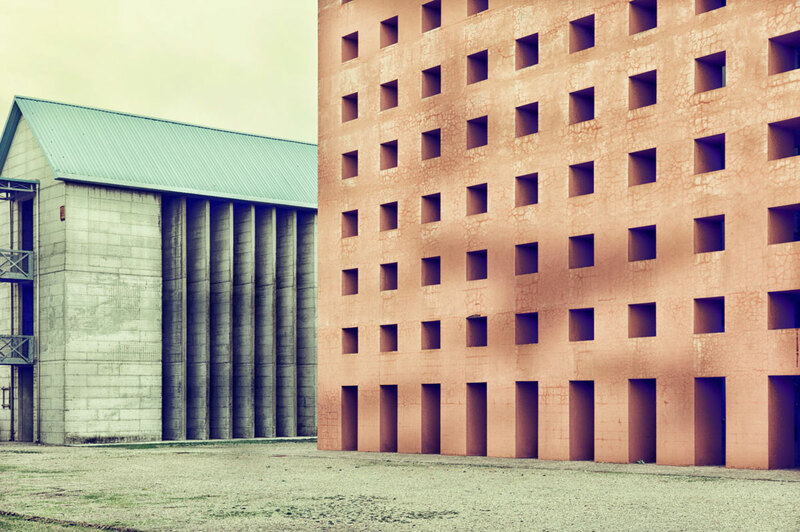 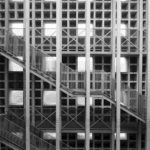 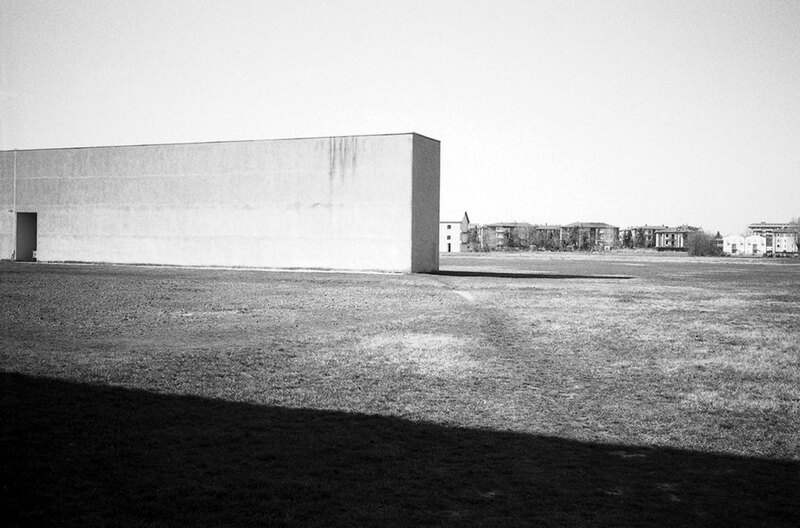 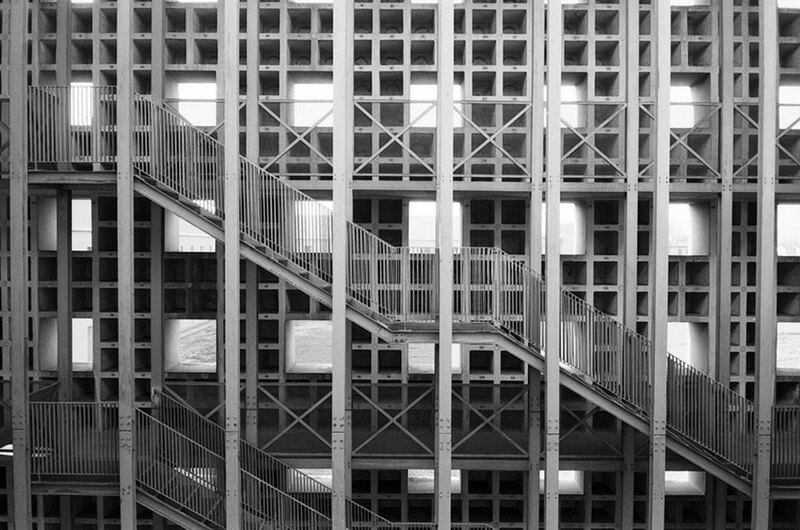 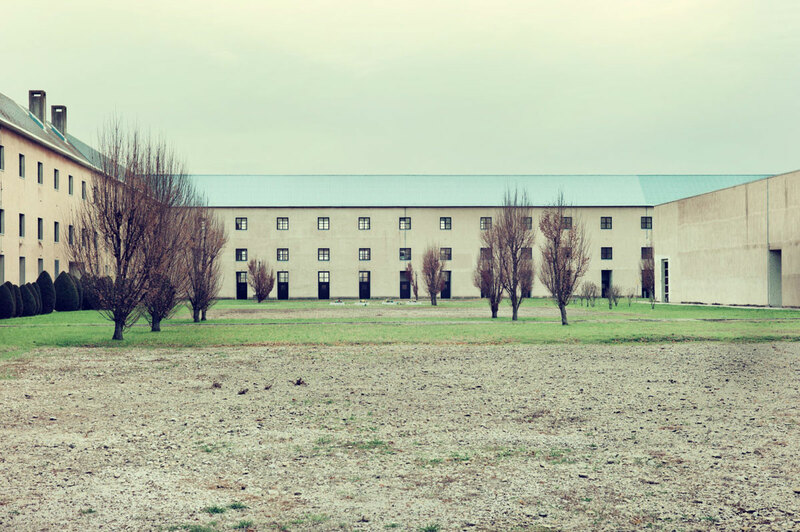 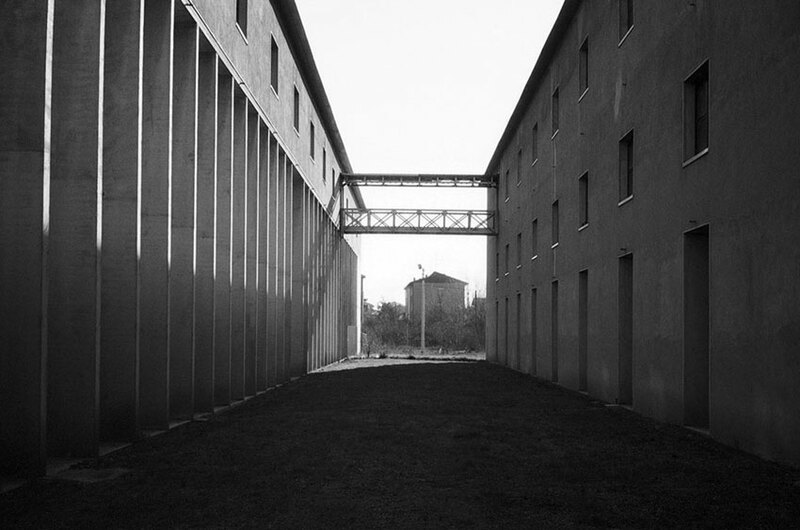 A masterful expression of Aldo Rossi’s poetics, the cemetery is an analogical route through the collective images of the “house of the dead”, filtered through the personal memory of the architect. 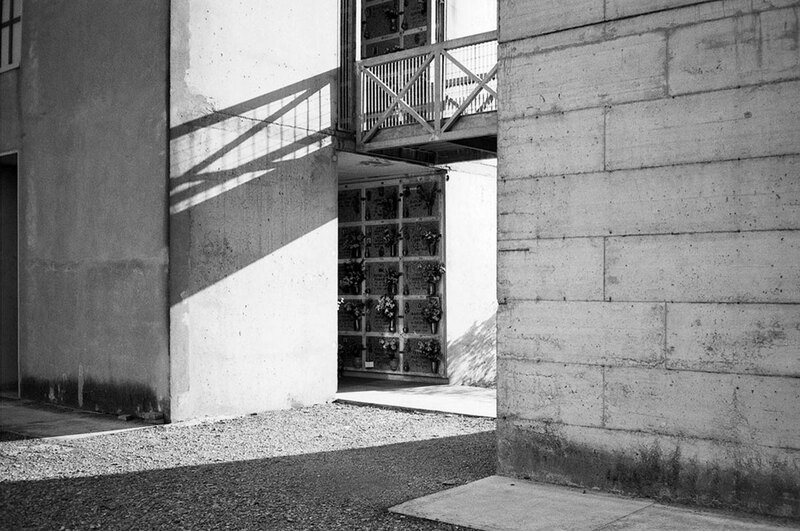 The cemetery remains a public building with the necessary clarity and rationality of the paths with the right utilisation of the terrain. 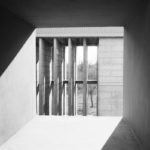 I lay in a small ground-floor room near a window through which I looked at the sky and a little garden. 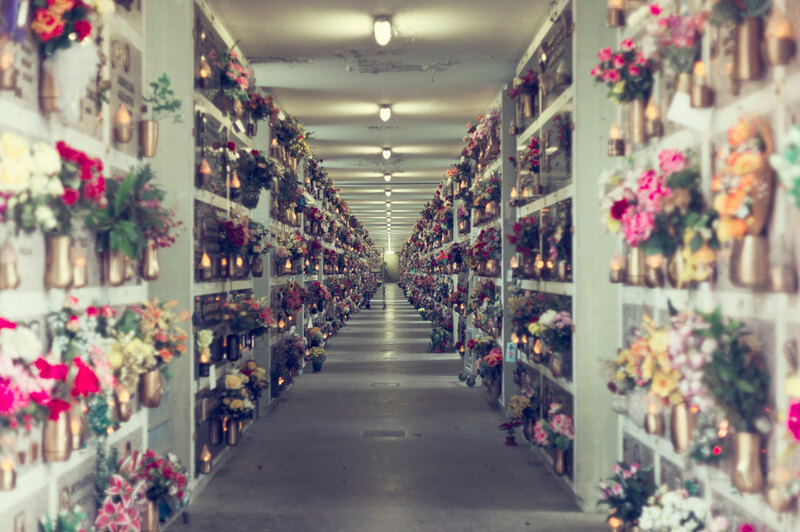 Lying nearly immobile, I thought of the past, but sometimes I did not think: I merely gazed at the trees and the sky. 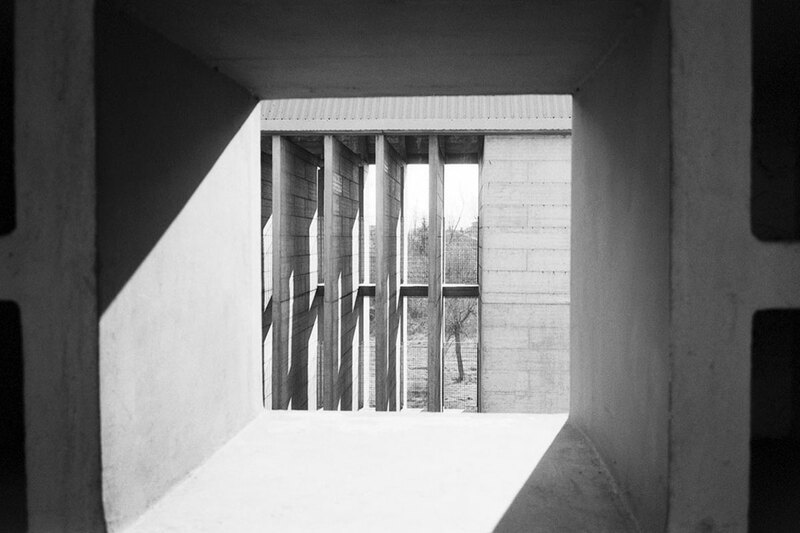 It is enclosed by a windowed wall to provide the citizens and visitors with an image focalised on the idea of space. 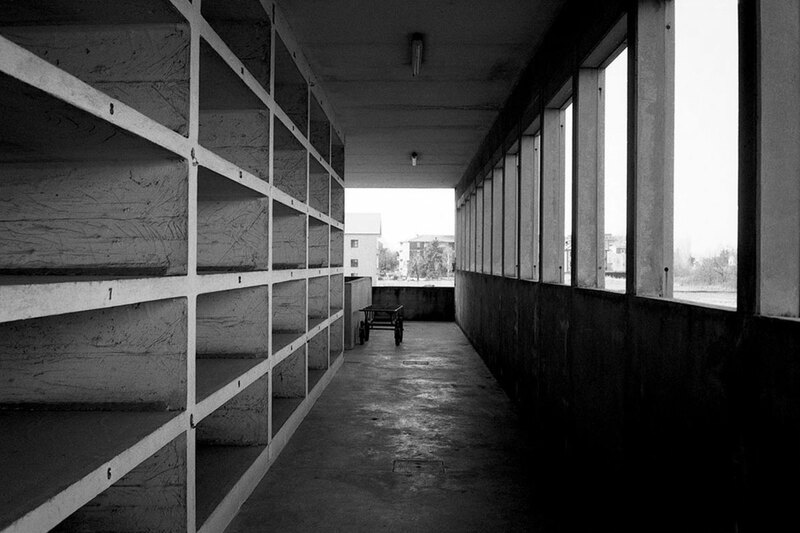 The melancholy of the theme of death does however not detach it from the other public buildings. 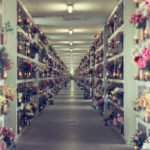 Its order and position also comprise the bureaucratic aspect of death. 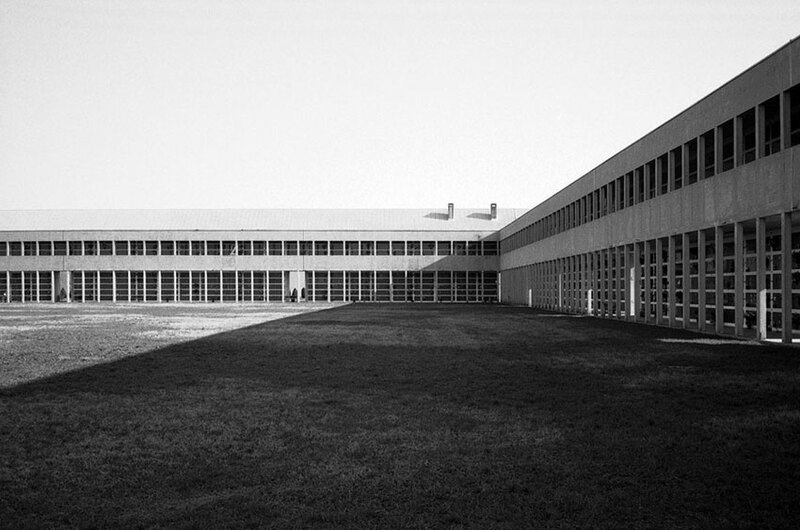 The building, today partially completed, is structured in such a way as to confine wide green spaces further marked by a criss-cross of pedestrian paths. 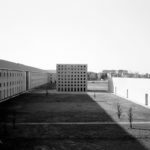 The various building complexes run parallel to each other towards the central “vertebral” axis which objectively, almost “physically”, links the orientational lines of this section of the project. 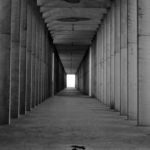 These compositive lines volumetrically degrading in north-south direction will make up a “rib” inscribable in a triangle which, when construction has been completed, will represent one of the characterising elements of the whole works. 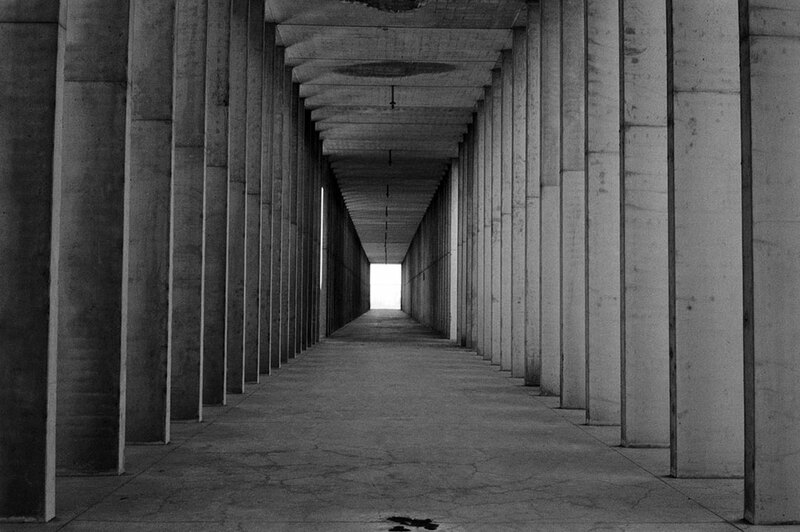 The rhythmic articulation of the openings, framed by the cold neatness of the surrounding walls are to this day interrupted in counterpoint only by the central cubic element destined for the ossuary which, when the works have been completed, will be in visual balance with the conic tower of the common grave, also thanks to a decisive colour differentiation of the walls, instrumental for clear perception and identification within the sphere of the surrounding townscape. 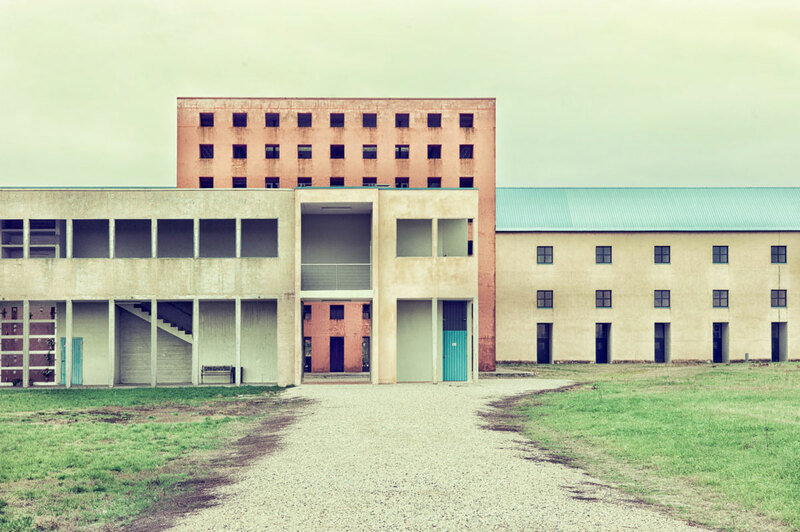 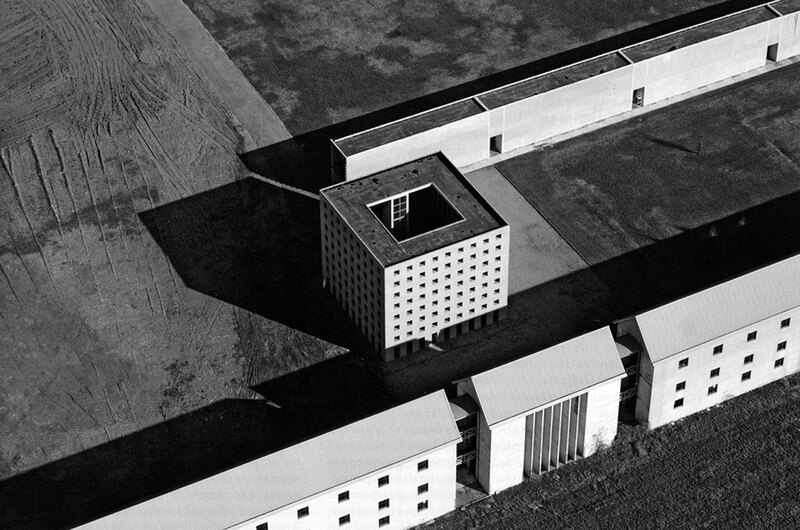 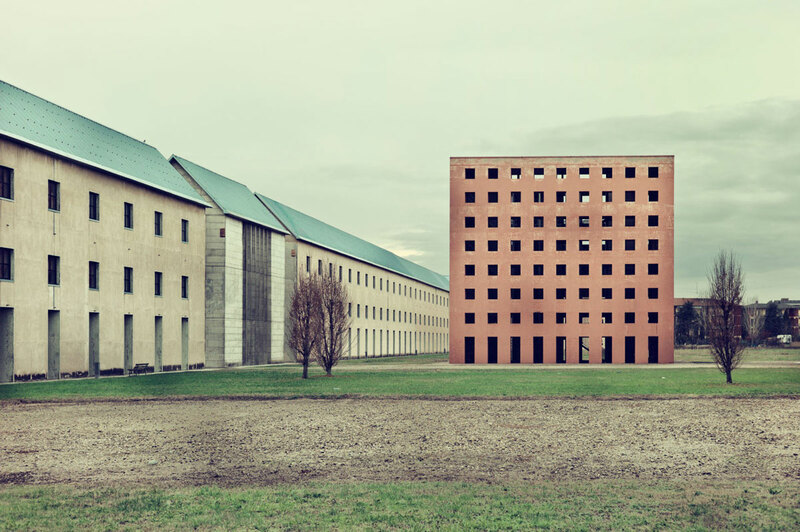 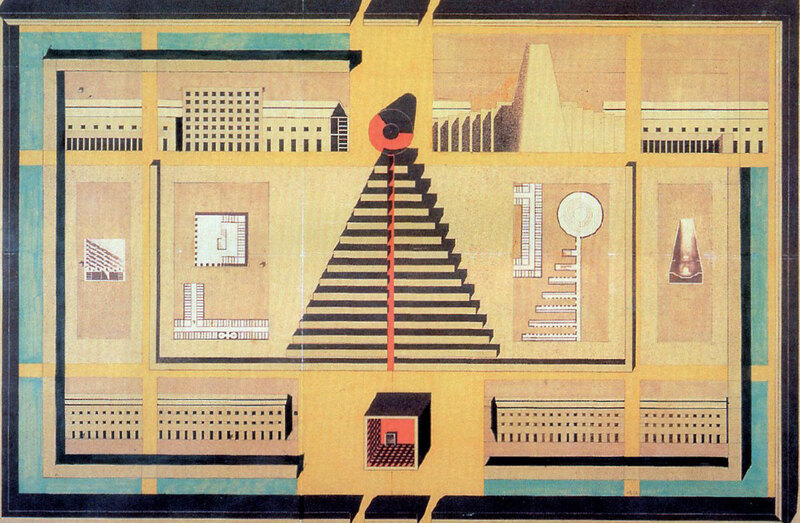 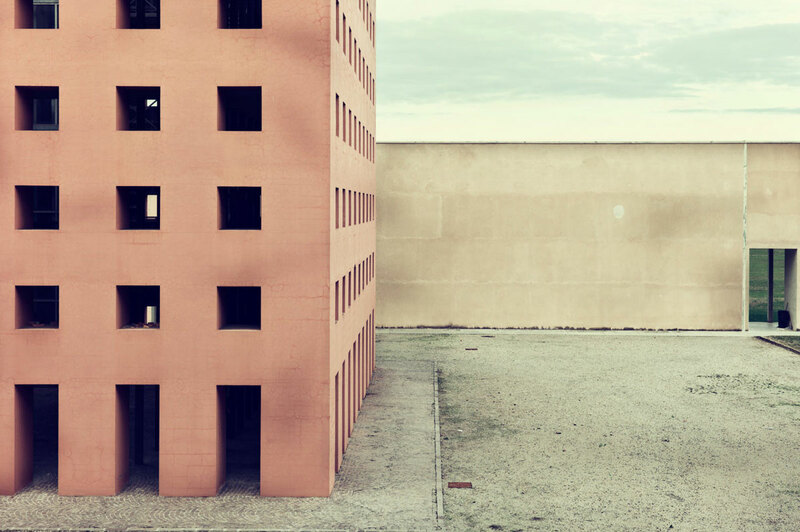 Aldo Rossi’s unfinished San Cataldo Cemetery is considered one of the first and most important Postmodern buildings even though the architect denied being part of the controversial movement. 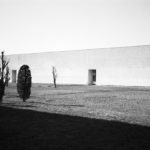 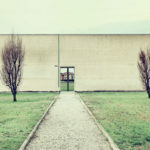 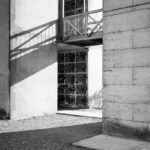 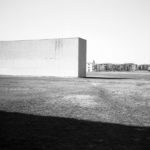 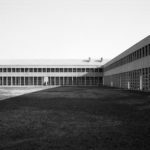 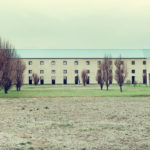 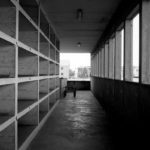 Cite this article: "San Cataldo Cemetery / Aldo Rossi," in ArchEyes, April 26, 2016, http://archeyes.com/san-cataldo-cemetery-aldo-rossi/.